 The Mad City Badgers is an organized Youth Wheelchair Basketball team, serving families and players from many parts of South-East Wisconsin. The team has evolved from it's humble beginnings in the 1950's, when disabled veterans returning from World War II formed the team as a form of recreation. Today, the Mad City Badgers serves school-aged boy's and girls, with many different levels of disabilities and skill level. Our coaching staff does a great job to insure that ALL team members participate in our games. This team has become a large part of it's participants lives in many ways. It first and foremost is a great social opportunity. Many friendships and connections are made here, both on the team, as well as with other teams that we have the pleasure of competing with across the country. It is also a very therapeutic sport, assisting in strength training and hand-eye coordination, just to name a few. But also, and most importantly, this team helps to develop life-long skills that go beyond the sport itself. The concept of "teamwork" and "competition" and "there is nothing I can't do", are ingrained in all of our athletes. As for team members at the High School age, the Mad City Badgers plays another important role. This is their High School sport! As with all High School sports, they are scouted and often recruited by Colleges throughout the country to play for their teams..often with full scholarships!